Important project communication gets lost in a crowded inbox. With the Evernote for Outlook add-in for Outlook.com, add the power of Evernote right into your email composer. 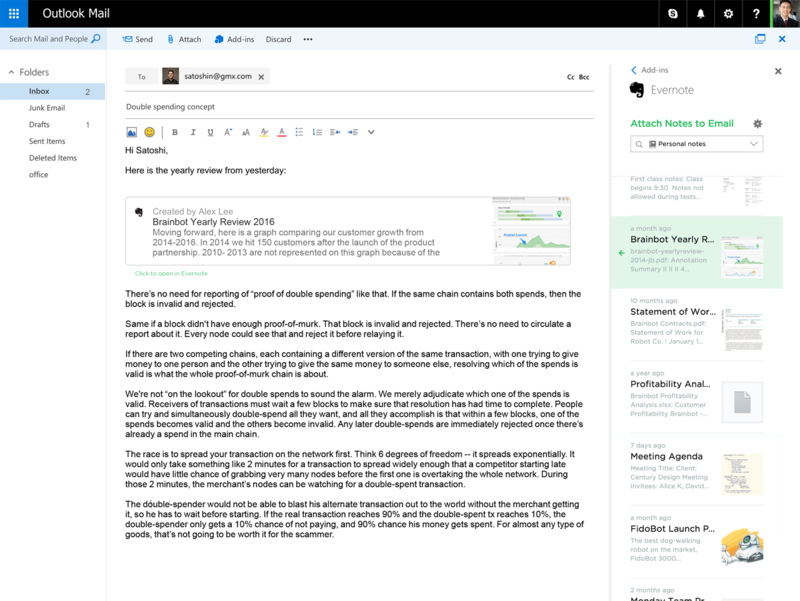 Save emails to Evernote and organize them with the rest of the project, or quickly add notes from Evernote to any Outlook email to share them with others. 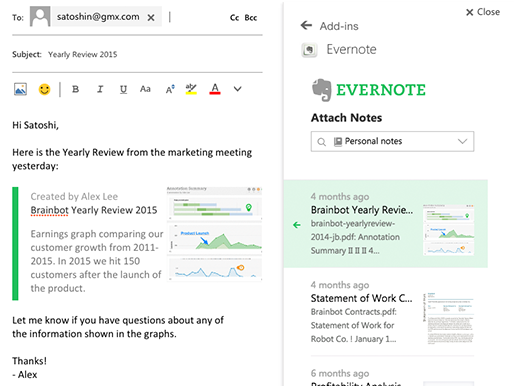 Organize important email by clipping any Outlook thread and its attachments to Evernote. Save and access it from any device. 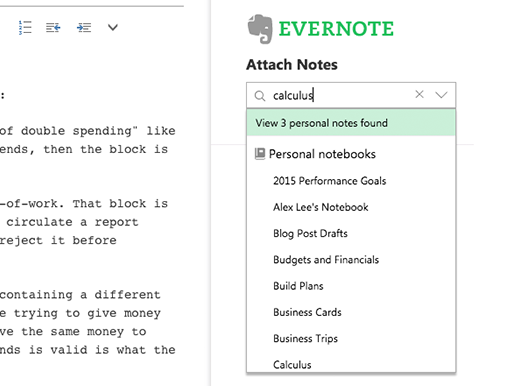 Send emails directly to your project notebooks so you can keep all the moving parts together. 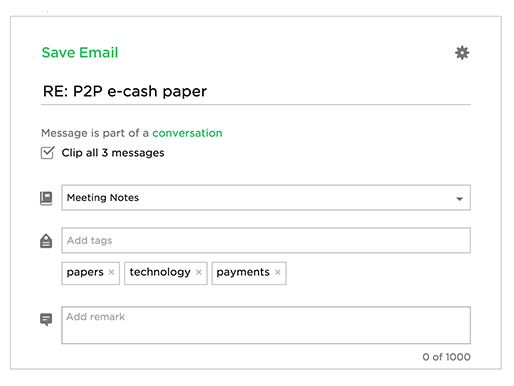 Give your recipients more context by adding your Evernote notes and documents to a message. Great for sharing tasks, articles, and projects.